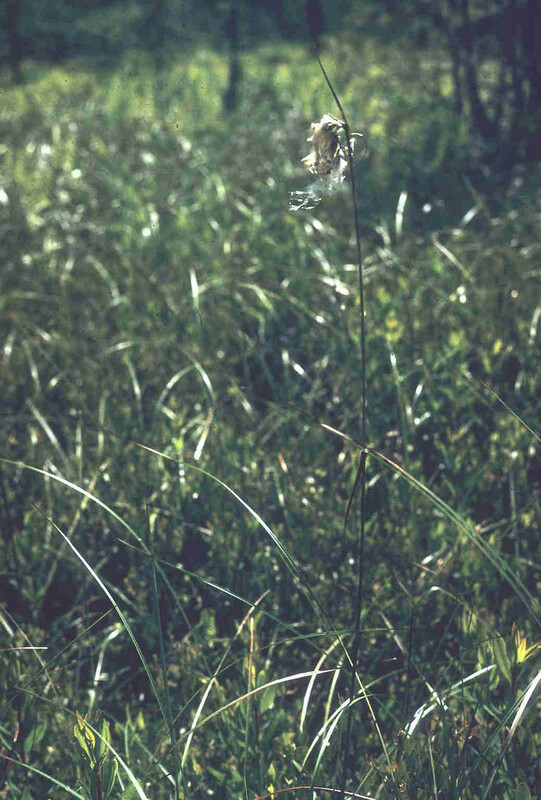 Green-keeled cottonsedge inhabits fens and meadows throughout New England, wherever the pH is high. 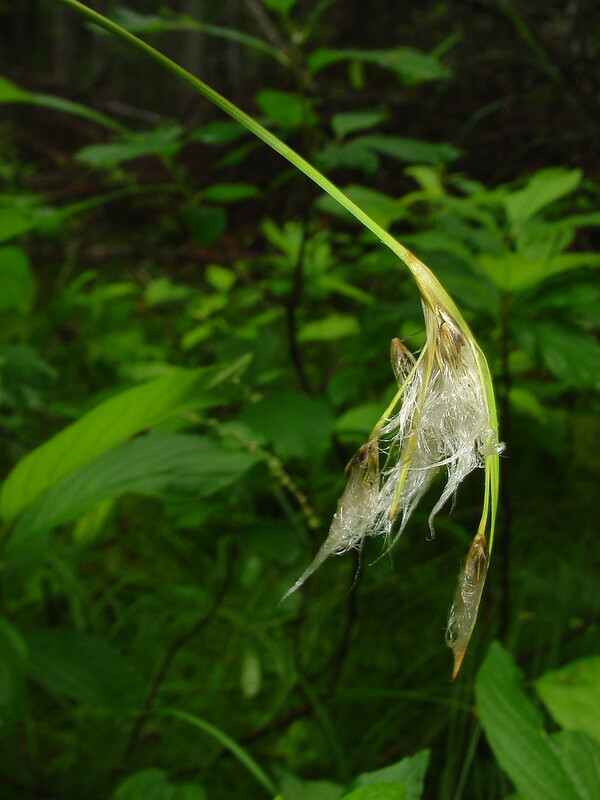 It gets its common name from the fact that the floral scales have a prominent green midrib. 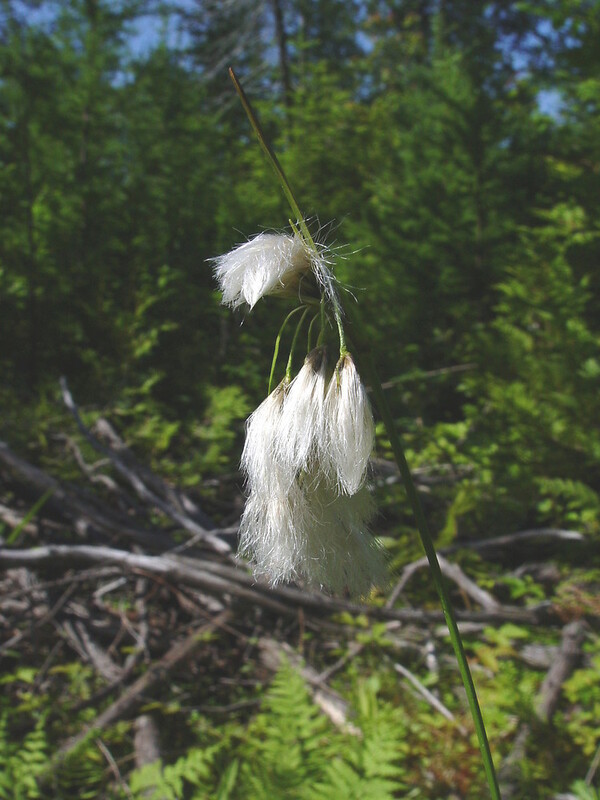 This species is endemic to North America, ranging from Alaska to Newfoundland; it comes close to its southern range limit in New England, which is why it is listed as rare in Rhode Island. 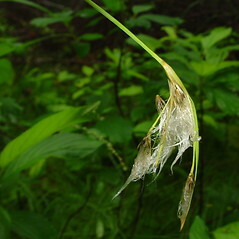 summit of leaf sheath darkened and midrib of floral scales inconspicuous near apex (vs. E. viridicarinatum, with the summit of leaf sheath not darkened and midrib of floral scales conspicuous near apex). 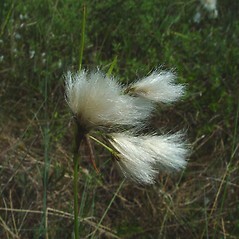 Eriophorum latifolium Hoppe var. viridicarinatum Engelm. green-keeled cottonsedge. 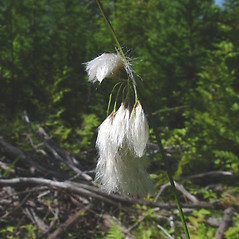 Eriophorum latifolium Hoppe var. viridicarinatum Engelm. 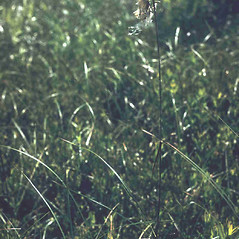 • CT, MA, ME, NH, RI, VT. Fens and high-pH meadows.